If you love to hunt, and would like to try Javan rusa deer hunting, your Mauritius vacation will be the ideal time to do so. Whether you are a thoroughly experienced hunter or a beginner, you will find that your quest for the perfect Javan rusa deer is the height of excitement. What better kind of holiday could you possibly have than to indulge your interest of hunting? When you select a Mauritius hunting safari, there are a number of different possibilities from which you can choose which options are the most appropriate to your particular style of hunting. If you are a hunter who likes to have the assistance of a beater or hunting dogs, they will be supplied to you at your request. If your method is that which is known as spot and stalk, you will have nearly unlimited opportunities to test your prowess and be delighted with the results. The forests, waterfalls, mountains, and other elements of nature will give you the most thrilling environment for hunting with this method, it is a natural environment at its very best, and also the very best for your hunting experience. Equally important to the quality of your experience on Mauritius is that the Javan rusa deer population is quite plentiful. Not only does this mean that it will be much more likely for you to acquire your deer, but you will also be able to delight in their plentitude. You may decide that this factor will make for a very exciting photographic opportunity as well as for hunting! Although it should go without saying, when you are hunting your deer or other game in this fabulous location, the great natural environment itself will also be far more appealing than anything you could possibly imagine, the plains, rivers, and wide open fields are like an environmentalist’s dream come true! 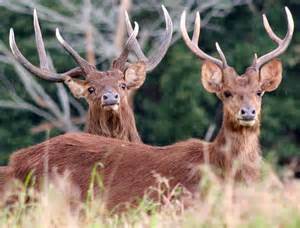 In addition to the Javan rusa deer, you will also be able to hunt for wild pig, pheasant, hare, and partridge. If you select a sporting safari package, you will not only have the chance to do some of the best hunting, but you will also be provided with a hunting guide, hotel accommodations, meals, and all the supplies that you will need for your hunting experience. You can even have taxidermy services for your hunting trophy, with shipping and freight free of charge. Whether you are an expert who has been hunting for many years or decades, or someone who has never tried this sport at all, your Mauritius vacations hunting trip will definitely be a once-in-a-lifetime experience. Even though you can correctly assume that this experience will be all that you look forward to and more, if you select a sporting safari package your satisfaction is not only assumed, it is guaranteed. Whether you have had a lifelong passion for hunting or whether you have just recently begun to develop an interest, there is simply nothing that can compare with game hunting on the island of Mauritius!